Review for Religious	Mindfulness? Contemplative Attitude? 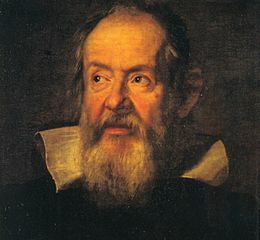 The Renaissance Mathematicus has posted an excellent ‘Rough Guide‘ to a particular aspect of the Galileo affair. A couple of days ago on Twitter, Brian Cox asked the Twitter historians, “Did Galileo know that he would annoy the Church when he published The Starry Messenger?” The very simple answer to this question is, no but a lengthy discussion of the situation developed on Twitter. It was suggested that somebody should produce a short temperate answer to the question as a reference source and after some hesitation I have acquiesced. This will be a relative short presentation of the various stages of this historical process with a minimum of explanation and justification, as Joe Friday used to say, “the facts ma’am, just the facts!” This is of course my interpretation but it is based on a fairly good knowledge of the most recent principal secondary literature on the subject and it is one that I think would find fairly general agreement amongst those who have seriously studied the subject.